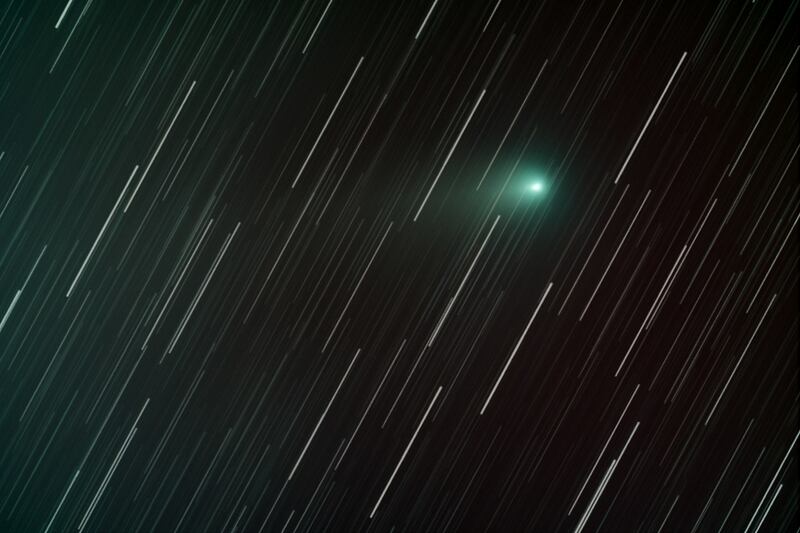 Comet 21 p / Giacobini-Zinner on 03 September 2018. 1 h46 minutes of integration (106 x 1 min). T300f / 4. Zwo Asi 1600 MCC-25° binning2x2. awkward moon neighborhood. (from 2 TO 4).